I tried this and for me, my monitor would not sync other than 60Hz at HD resolution. @Benjamin J Thanks for your post, I will be torn if its a CPU bottleneck as I will probably have to upgrade the cooler as well, an additional £100 for a good one. So I will do some testing. 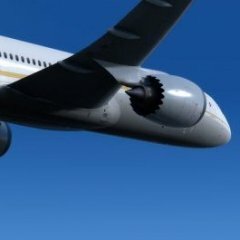 @SteveW can you clarify... From the above statement, if we are seeing the '100% core' actually running at 100% as is so typical with FSX and P3D, are you suggesting that this indicates the system is already technically overloaded, and that we should back off the settings until we see that major core running at less that 100%, in order to guarantee good performance in the sim? Also, can you clarify, just because that core shows up as 100% in TaskMan, does it necessarily indicate that the core is fully loaded - I often see that core running at 100% in the sim, but the core temperature indicates the core is nowhere near full load when compared with other softwares I run. Lastly, Surely it must be time to recode some of the fundamental code of the sim to allow it to run properly across multi core systems? I find it hard to believe that in this day and age it is still the correct method to be hammering one core while all the reset are having it easy. Can we expect to see significant improvements in the area? We are all spending mucho hard-earned to facilitate running our wonderful sims, and to see the CPU not able to maximise its potential seems like such a waste. Please tell me this is all legacy dross from FSX days and will be dealt with in due time? OK thanks for all the ideas. GTX980Ti ASUS Strix factory overclock here. Never been a problem up til P3D. Maybe it's being pushed harder. I'll bear in mind all these things when/if it happens again. Cheers. I got the same result. I also was assigned the SID departing EDDS. Let me take a look at ELLX more closely and all of its procedures. It almost looks like some type of bug that's preventing VOXATC from assigning a STAR for RWY 06. Have you tried using different STAR transition points? I'd also try a transition altitude of 3500 ft, as this is default that VOXATC uses for the UK/EU region. The value of AU/NZ is 10000 ft and the default transition altitude everywhere else is 18000 ft. Even though no one recently has heard back from the VOXATC developer. It's worth it to send along a bug report to him via the official support email. lknfly replied to tom_potts's topic in Welcome New Members! Welcome Tom_Potts! Cool that you go on your PPL! Enjoy it! 15 years ago, I bought FS2004, I couldn't even imagine myself that two years later I would fly birds, GA the first two years and bigger ones later... FS accelarated my passion and my faith to build a bridge from the virtual world to touch my dreams in the real flight one, without sims I do believe that I would never become a pilot (except in my fantasy!) so that everything is (almost) possible! I thought that I will fly less on sim but that's the opposite, oh yeah, I still enjoy so much and always learning... (70% on Xplane11, 30% on P3D 4.5) Happy Flyings Captain! Just about. Sometimes the speed will be just above stall speed. Other times not so lucky! There's like a 279 thread post on the Aerosoft forums with absolutely no solution. bloody hell. its that bad? I just did a flight identical to one where I had the managed speed bug and didn't encounter it. However it's a very unpredictable bug so I'm not going to rule it as fixed quite yet. I have the same CPU as you, though I have a GTX1070 rather than a 1060. I'll be ordering an i7-9700k fairly soon. The reason for that is that, in my case, I almost never see my GTX1070 hit 100% use in task manager. Let me give a specific example. FlyTamapa's CYYZ is very hard on my system. I typically have fairly low FPS there, perhaps 15-18. At the same time, my GPU is being utilized 40-50%. 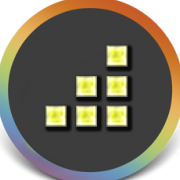 If I were to use a night environment with dynamic lights enabled, my GPU usage goes up to ~70%, but the frames remain at 15-18, typically. If I were to look away from the terminal, my GPU usage hardly changes, yet my FPS go back to 25+. To me, all this means that my GPU is not the bottle neck, and it's far more likely that my CPU is. Hence I'm going for an i7-9700k. I will also add that there is only one time when I saw my GPU maxing out: I was cruising at FL350 and around me ASP4 created multiple layers of overcast clouds. My FPS weere halved as my GPU was maxed out: a clear indication that, in this particular case, my GPU was a bottle neck. But the fact that this only happened once, again means that overall my GTX1070 is just fine. So here's my suggestion to you.Go to a place where your FPS are not too good, and check the usage of your CPU and GPU. If your FPS are dwindling despite your GPU being under-utilize, it means your CPU is likely a bottle neck. You can do a variety of scenarios such as I outlined above, that would test these two components to different degrees. From my experience, my 'short answer' to you is that it's likely that your CPU is the bottle neck, and you might not need to invest money in a new GPU. That said, a GTX1060, because it has only 6GB VRAM, may constitute a different bottle neck at a later date, and so upgrading that may not be a bad decision. In my mind a GTX1070 will do the job just fine. But if you have money to spare, you may just want to get the RTX2070. I will add that I'd be a little weary of a second-hand GTX1080. You should probably inquire whether or not it has been used for crypto mining, as those algorithms really hammer your GPU. Thank y'all for the great responses! Found some great finds here! I've posted this at the P3D Forum and have received no response. I'm hoping someone here can help me! :) When I start P3D on a client PC, I receive, "Failed to locate multichannel configuration file: :".Path is correct. Filename is correct. I confirmed file sharing works. Which multichannel configuration file can it not find? The local one or the remote (Host) one?One the Host PC, P3D seems to work okay, but when I close P3D, I receive "Multichannel autostart failed. Please make sure the file is a valid configuration. "I used the configuration files from Multichannel section in the SDK and changed the few fields as directed.How do I fix this?Thanks. @fppilot I didn't know about this discussion, thank you for sharing the link, it is very informative. As for the OT I think this is more related to the latest 'fix' in the GTN v2.5.16.1 and the GNS v2.4.11.1, which solve the issue with the Just Flight Arrow III v1.6 and a few other Carenado aircraft, and it is specific to X-Plane (it was discussed a lot in the 'beta test' discussion after you've left it).